Ever since the first airing of the world famous Outlander TV series in 2014, millions of viewers around the world have been transported to the wild hills and craggy castles of Scotland. 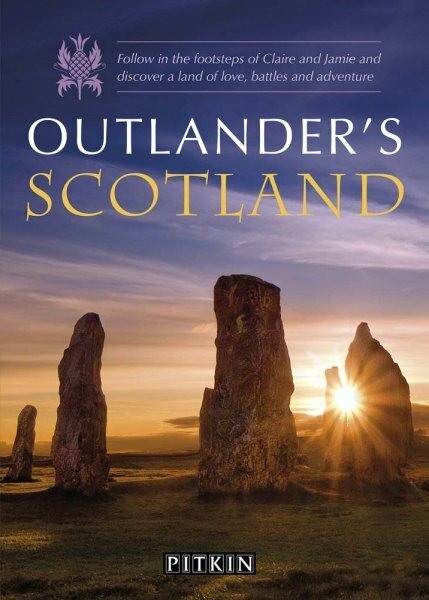 This guide now enables you to follow in the footsteps of Jamie Fraser and Claire Randall, from the ancient cobbled streets, gabled palace and herb garden of Culross, which became fictional Cranesmuir, to the iconic 1960s Pathfoot Building at the University of Stirling which Claire’s daughter, Biranna, visits on her first trip to Scotland. Focussing on easy day trips from the characterful cities of Ediburgh and Glasgow – themselves jam-packed with Outlander locations – this guide will show you the most rewarding sights, when to visit them and how to get there.